A 2 night trek combined with 2 nights in Lake Natron. 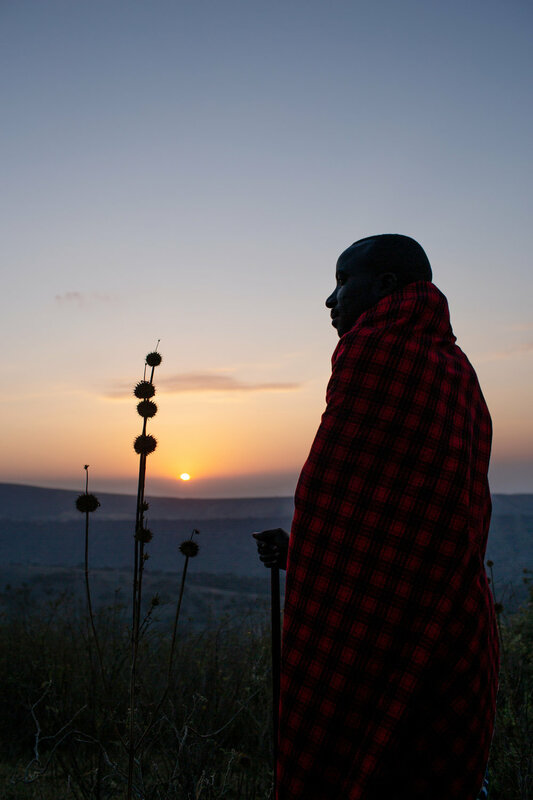 The trek starts with a night at Empakai Crater in the Ngorongoro highlands (and depending on arrival time can include a descent into Empakai) from which our guides lead you down the outer slopes of Empakai, with the second night on the edge of the Gregorian rift. You then trek down the rift valley with stunning views throughout and once at the base are transferred for 2 nights at Lake Natron Camp (Ngare Sero) and use this as a base for activities such as seeing the flamingoes on Lake Natron, visiting the hominid footprints, delving deep into the Ngare Sero gorge or even just relaxing in camp and enjoying the natural plunge pools. For the very active you can also climb Oldonyo Lengai (extra cost). On arrival at Empakai crater there is the option to descend into the crater. This is around 40 minutes down and depending on season can be quite slippery but certainly a great hike with stunning views. Flamingoes are often seen flying into the crater or feeding in the lake at the base. A hot shower is available before dinner. Overnight Empakai Camp (full board). Dawn rises and our lofty position affords a great sunrise. As we take breakfast our camp crew break camp and depart to send the camp ahead with donkeys. We then set off hiking with Maasai guides following a route that takes us through picturesque Maasai villages and rolling hills. Lunch can be taken on route as a picnic or if guests are very fit a late lunch can be had in camp. In the late afternoon a hike up to a nearby viewpoint is highly recommended and a great place for sundowners! Dinner & overnight Leonotis Camp (full board). The final section of hiking has two options of a shorter hike or a longer more strenuous option right along the rift wall. The views are spectacular with the active volcano Oldoinyo Lengai dominating the foreground. This volcano affects almost everything from hydrology to lifestyle, as will become apparent. Once down on the rift valley floor we are picked up and transfer to Lake Natron Camp, Ngare Sero and here have the chance to jump in the natural pools to cool down. Sundowners are served at any number of beautiful points close to camp. Dinner & overnight Lake Natron Camp (full board). Lake Natron has a number of activities that are very easily combined with dawn walks and sundowners and in the middle of the day there is the nearby Ngare Sero gorge that you can walk to options of long hikes to the source or shorter hikes to waterfalls. The staff are on hand to make you stay as adventurous or relaxing as you want. Dinner & overnight Lake Natron Camp (full board). After breakfast you can do some additional activities before departure and picnic lunches are provided to ensure you reach your goal well fed. 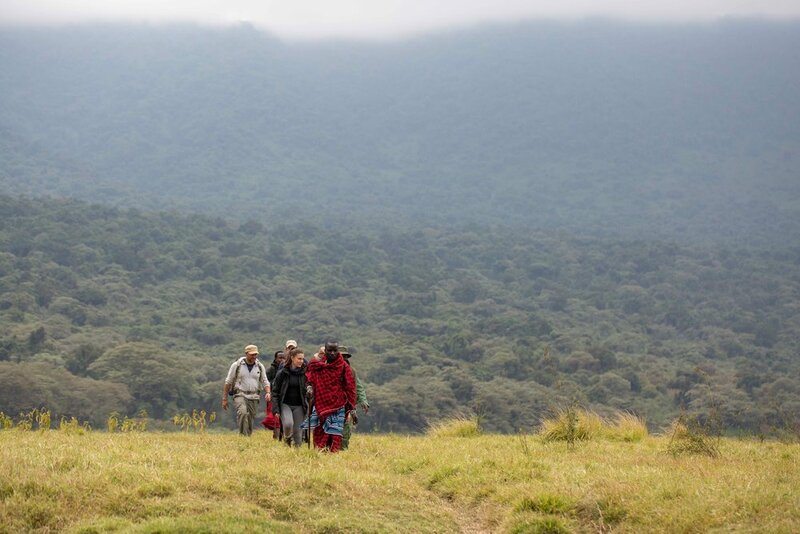 For those that are short on time, we offer a 3 night / 4 day version of the Great Rift Valley Trek where you trek from Empakai straight to Leonotis Camp, but still get time to relax and take part in all the activities that Lake Natron Camp has to offer.